We are looking for someone to build/collate a linestyles and symbols in order to draft our contour and detail plans in AutoCAD. 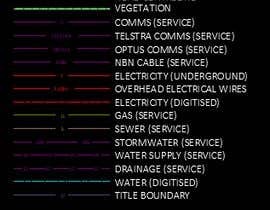 started locating underground services so need linetypes that communicate these, e.g. communications, electrical, water etc. these linetypes need to scale correctly. 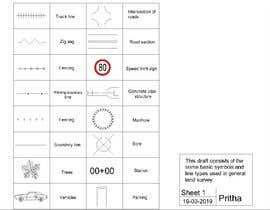 we predominantly out plans at 1:200 and 1:500 scales so both symbols and linetypes need to be clear and legible at these scales. any linetypes with text , the text needs to have paper text height of at least 1.25mm. symbols need to be between 2.5mm and 3.5mm in size. Hi, Could you please give me a update on the submitted PDF? I am looking for a complete set. an advantage would be anyone who has worked in or knows people who have worked in/for companies that have done this sort of work. many of the linestyles and symbols are uniform through out the industry. 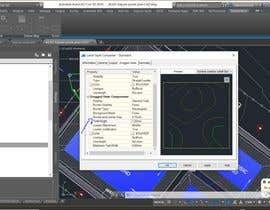 I can provide you with what you want exactly like you need them in AutoCAD, but to be effective, I need to know how many line styles and how many symbols do you want within this contest. Hi, i am looking for a complete set necessary to draft contour and feature plans. this includes the terrain, e.g. banks, waterline, change of grade etc. the symbols would be those used in the same plans. Hi, I understand your requirements. Pls allow me some time. I'll be back with the dwg containing all the line types and symbols. thats great, i look forward to seeing your work. I just submitted my entry, I used that file, but I could custom it to your requirements and give you advise to make it a template and be more productive and fast at the moment you work with AutoCAD. if you search online for "detail survey plans australia" you should get an idea of what is required. we are a land surveying company in australia. online cad forums can also provide examples and even the line code and symbols. no files to provide. I am looking for someone to supply the symbols and lifestyles. if you search online for "detail survey plans australia" you should get an idea of what is required. we are a land surveying company in australia.